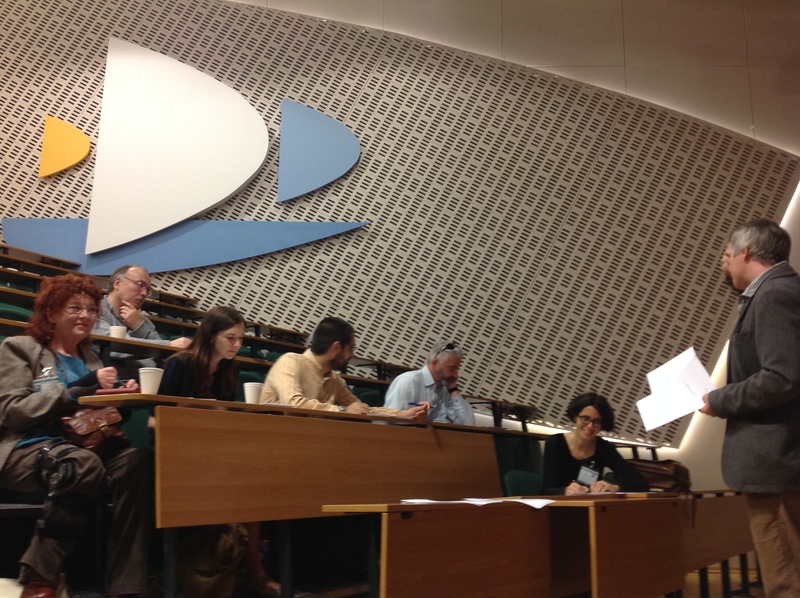 On July 8th The Philosophy Foundation held the UK’s first primary Philosothon. 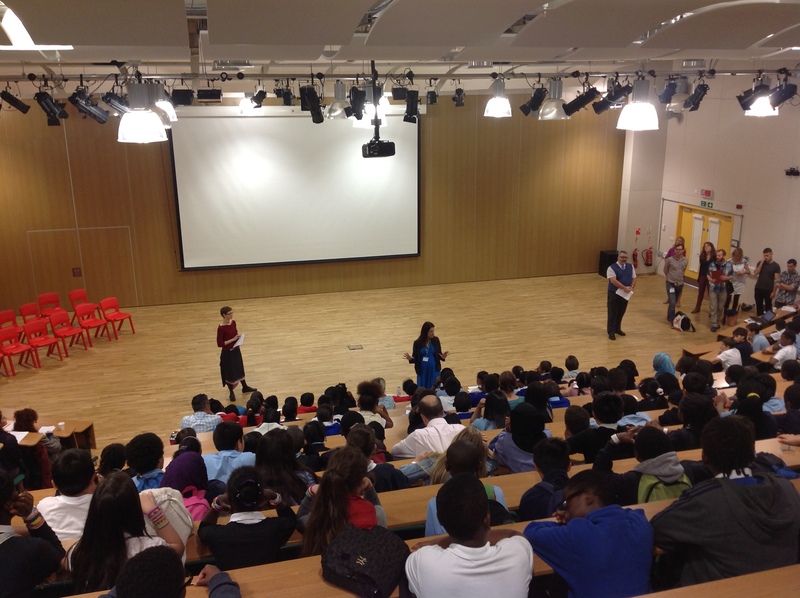 It took place in Deptford Green Secondary School and involved five primary schools (seven classes, 200 students in total) all part of a collaborative of state schools in Deptford, they included Deptford Park, Sir Francis Drake, Grinling Gibbons, Lucas Vale and St Joseph’s. 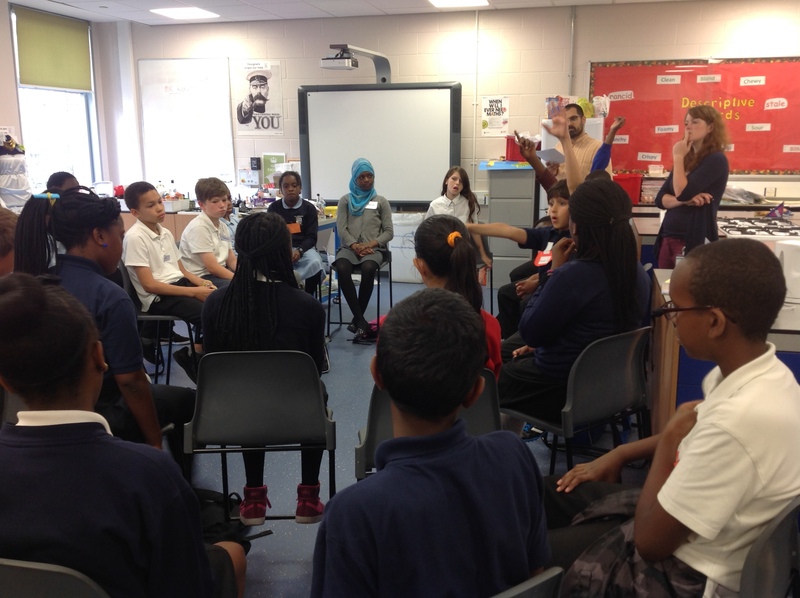 For the past few years the schools have been conducting debating competitions for their Year 6 classes as part of the transition to secondary school – last year’s being run by The Philosophy Foundation, with a philosophical twist. At TPF we have an uncomfortable relationship with debates as they can become competitive rather than truth-seeking. The competitive edge of a debate, we observed, did not always – how shall we put this? – bring out the best in the students. Earlier in the year Peter had been invited to act as a judge in the first Philosothon in this country at Kings College Taunton at which the originator of the Philosothon, Matthew Wills, was present having travelled from Australia. Peter was struck by the way in which the competitors were not only being marked on their intellectual contributions (their arguments and appropriate challenges etc.) but also on how well they facilitated each other towards a collaborative, group exploration of the issue. We put it to the Deptford collaborative of schools that they might want to try a Philosothon instead of a traditional debate and the selling point was this idea of competitive collaboration. They decided to give it a go. Students from Lucas Vale talk to Peter Worley about their philosophy classes. We invited seven Philosopher judges: Professor Simon Glendinning (LSE), Dr Catherine McCall (TPF Patron & Director of Epic International), Dr Marije Altorf (St Mary’s University), Dr Naomi Goulder (New College of Humanities), Dr Ellen Fridland (KCL), Dr Nathaniel Coleman (UCL) and Darren Chetty (IOE). We are grateful to all of them for giving their time, expertise and experience to help make this a memorable event for the young people involved. Some of the judges prepare for the event. All the classes underwent ten philosophy sessions around the two main topics of Knowledge and Freedom in the lead up to the competition. On the day, they were simply asked two direct questions: 1) How do you know that you know? (Knowledge) and 2) Are we in control of our lives? (Freedom) one for each of the two enquiries. 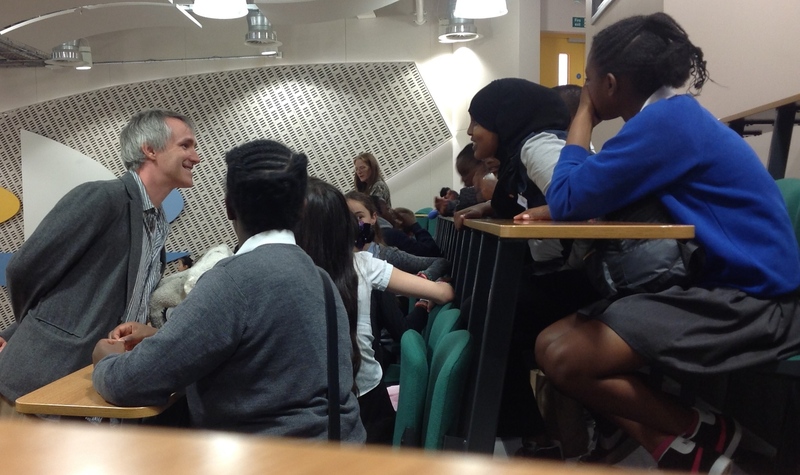 Unlike other Philosothon’s where students are picked to represent their schools we had whole classes taking part. Each class were split into seven groups named after a philosopher and on the day the philosopher groups worked with each other all morning so that within each group there were 3-4 children from the same class. Jenyd from Sir Francis Drake is awarded an ‘Outstanding Contribution’ prize. Judges were given score sheets where they had to put a mark every time a student made a good philosophical contribution to the discussion – the students had different coloured badges on representing their class and the judge put a mark in the corresponding colour on their score sheet. At the end the marks were all added up to find an overall class winner. 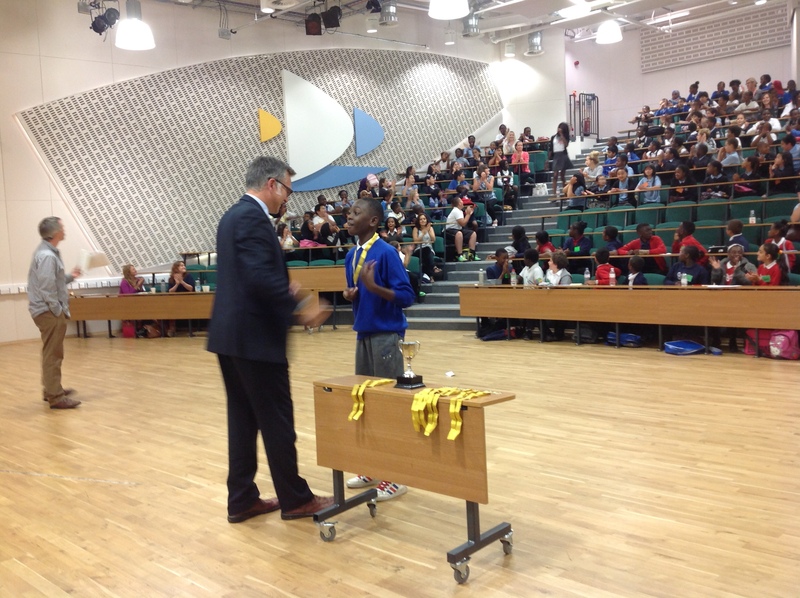 Individual medals were also given to students for outstanding contributions, 14 were given out in total, and the winning class was ‘Opal’ from Deptford Park Primary School. 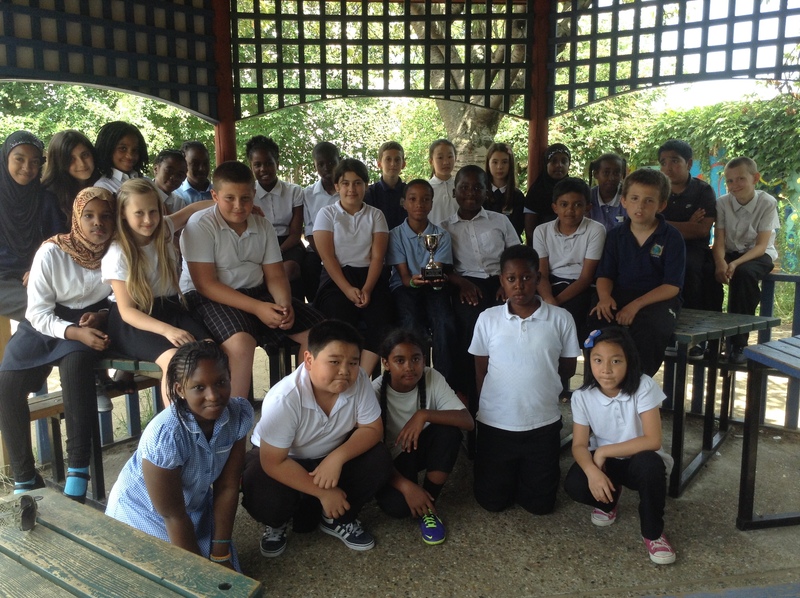 Opal Class from Deptford Park Primary School were the overall winners of the competition. Everyone – judges and observers – thought that the level of co-operation and collaboration was outstanding. The synthesis of competition and collaboration that the Philosothon engendered is of particular importance because we think that philosophy (and the aim of gaining human knowledge in general) can be understood to be a synthesis between collaboration and opposition: people work together to solve a problem but in order to do so the process of gaining knowledge demands that they challenge each other in the right ways. Peter Worley | Why use stories for doing philosophy with children?